The Lite-Series golf bag has been significantly styled and is more compact to give a more appeal, with super lightweight nylon material. 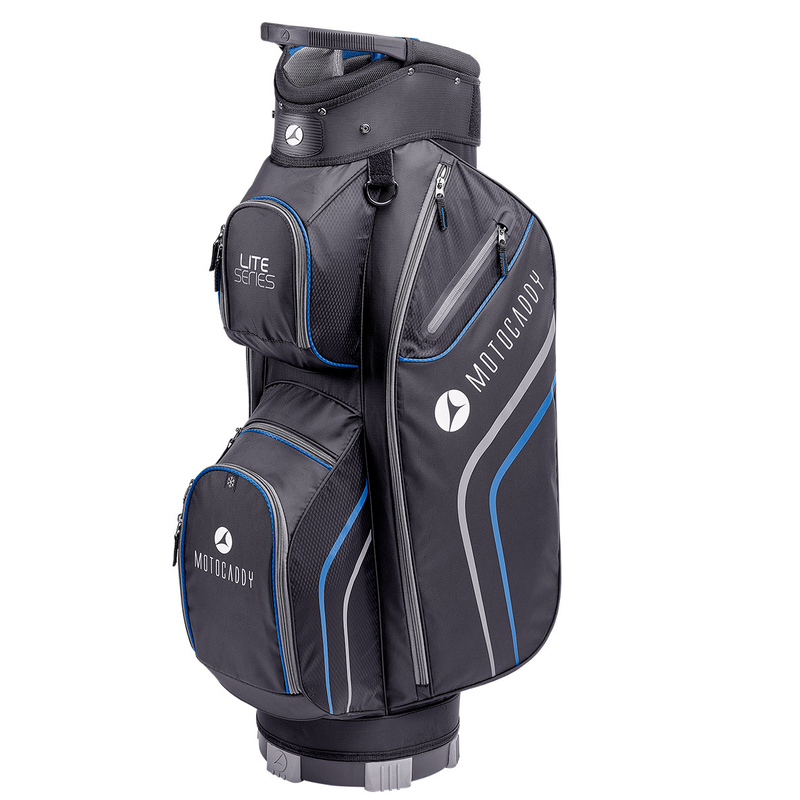 The bag has been made with highly durable construction, with an anti-twist base that has EASILOCK™ compatibility for a more secure fit to you golf cart. 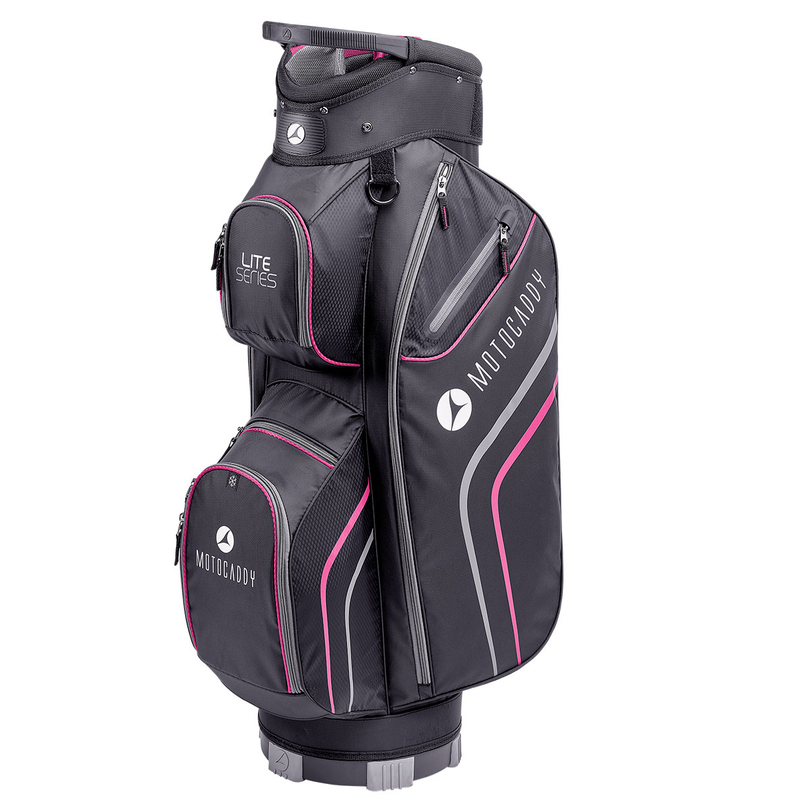 The bag has an improved top divider system with a dedicated putter well, and has a lift assist handle, to make it much more easy to move on to your mode of transportation. The bag has 7 conveniently placed and sized pockets, which includes a valuables pocket, large apparel pocket, ball and food/beverage pockets. Other features include an umbrella sleeve, towel hook, Velcro glove attachment, and has a waterproof rain hood for better club protection.